Victor Liu is president of Hunt Energy Enterprises where he leads Hunt's energy technology venture development and investment business. Prior to leading HEE, Liu was vice president for Hunt Power where he helped develop Hunt's InfraREIT business. Before joining Hunt Power in 2006, Liu was active in high tech venture capital as a general partner with Vortex Partners from 2000 to 2005, and Sevin Rosen Funds from 1999 to 2000. As a venture capitalist, he was active in internet infrastructure and wireless investment decisions that included Cyneta Networks (acquired by Tektronix), Navarro Networks (acquired by Cisco Systems), ipMobile (acquired by Cisco Systems), RealManage and GlobeRanger. Before his venture capital career, Liu worked in new product and new business commercialization as director of business development for Cyrix Corporation (acquired by National Semiconductor), and as a product manager at Texas Instruments in the digital light processing business. 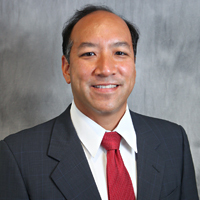 Liu earned an MBA from Harvard Business School and a BA from Southern Methodist University.